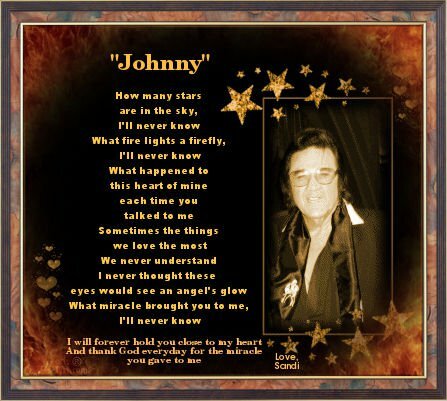 This page is my own personal view of Johnny and I wanted to share it, Johnny was an Angel and I miss him deeply! 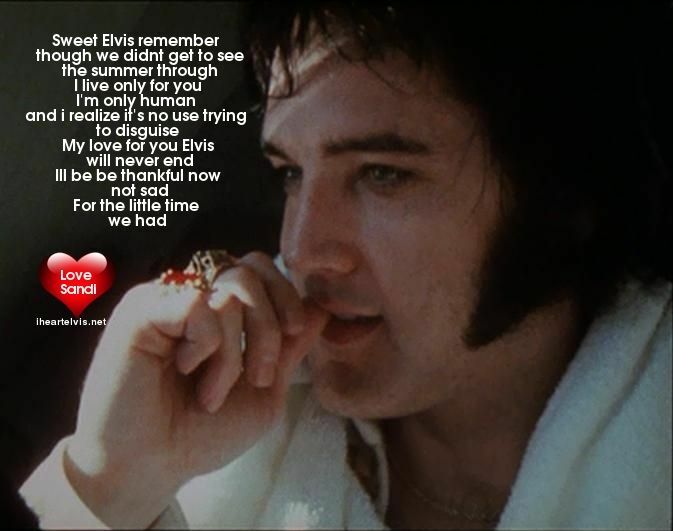 I was talking to Johnny one evening and in our conversation he asked what my favorite Elvis song was. I told him that I loved them all so much that I wouldn’t be able to narrow it down to just one. I said it would be easier if I told you which song I wish he had recorded, which was the song “Honey” . 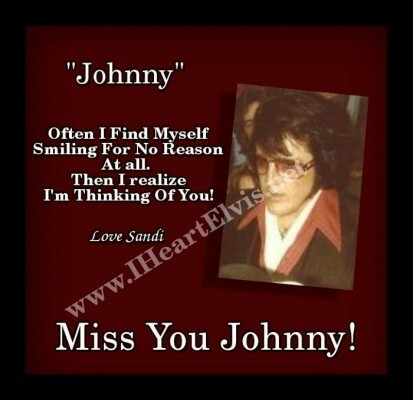 Johnny laughed and said He had recorded it and sent me the c.d. We talked for hours that night , I feel very blessed to have had the chance to get to know him before he passed away, that is why this song is so special to me. 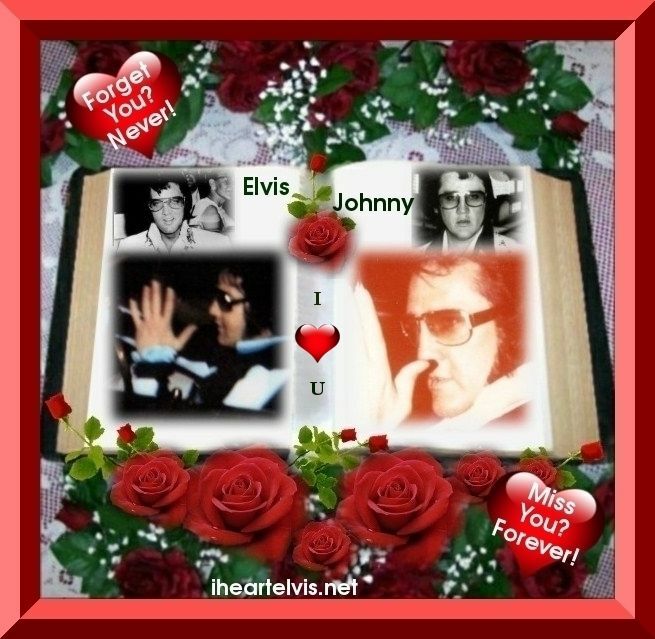 Johnny was just how I imagined Elvis would have been, the first time I ever heard his voice, my heart hit the floor. It was amazing how much he sounded like Elvis. 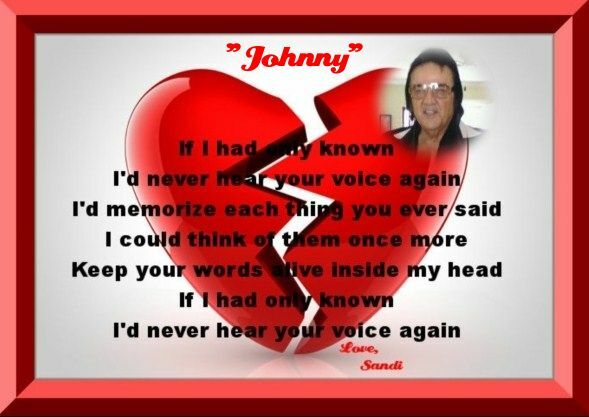 This reminds me of you Johnny…. 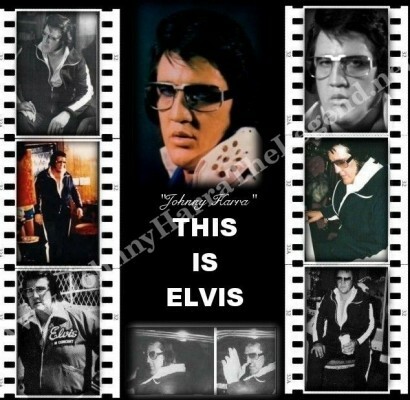 Johnny Harra "This Is Elvis"
This entry was posted in Johnny Harra, Johnny Harra Photos and tagged Johnny Harra, Johnny Harra Photos, Johnny Harra singing Honey, Johnny Harra Videos. Bookmark the permalink. Sandi this is a really emotional memorial , it is so nice, I’m sure his family will embrace it. I guess thats kind of selfish, but I miss him. You healed my heart and made my life complete, I will be eternally grateful for this. The time was too short, but I wouldn’t trade it for all the gold or money in the world! You made me a believer in miracles. and restored my faith. My life will always be so much better because of you and sadder because of the loss of you. 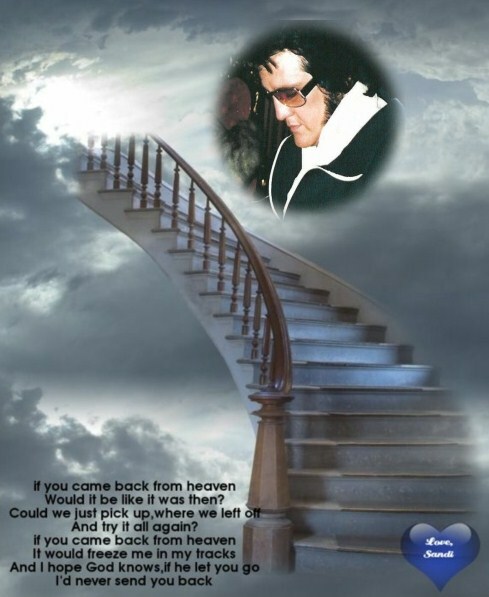 I want very much and look forward to seeing you on the other side. Please don’t forget me, I know I will never forget you!